Efficiency is absolutely crucial for success in law firms and legal departments. 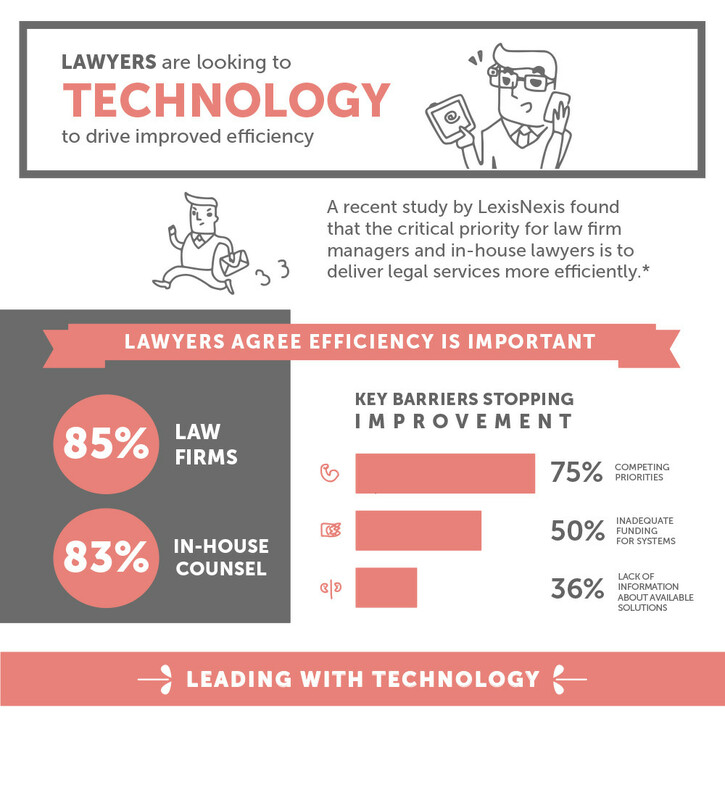 LexisNexis conducted a survey of the Australian legal industry to find out what lawyers are doing to increase efficiency. Our modern, clean design and simple data visualizations convey that information quickly and beautifully.